Okami Haute Mocha blends together dark espresso with warm chocolaty cocoa for a nic salt that tastes just as good as it sounds. 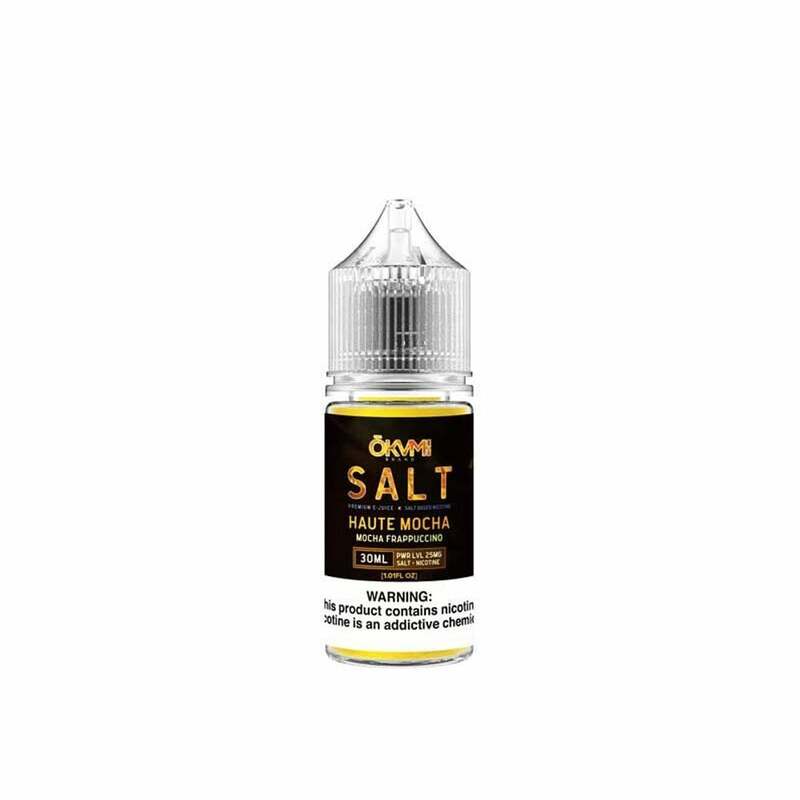 Okami's nic salt formula adds an extra level of satisfaction to your vaping experience, making every hit as smooth as the first. The flavor is really good but I had to throw about 1/3 of the bottle out. After a few weeks it developed a vinegar-like smell and flavor. Very delicious. All day vape. Buying more. Wow this is the best coffee/mocha i have ever tried. The taste is true to the flavor it is very very good! It has a very clean taste. The after taste has a wonderful cream flavor while the 1st taste is nice mocha/coffee. Its 1 of the best juices i have ever had.